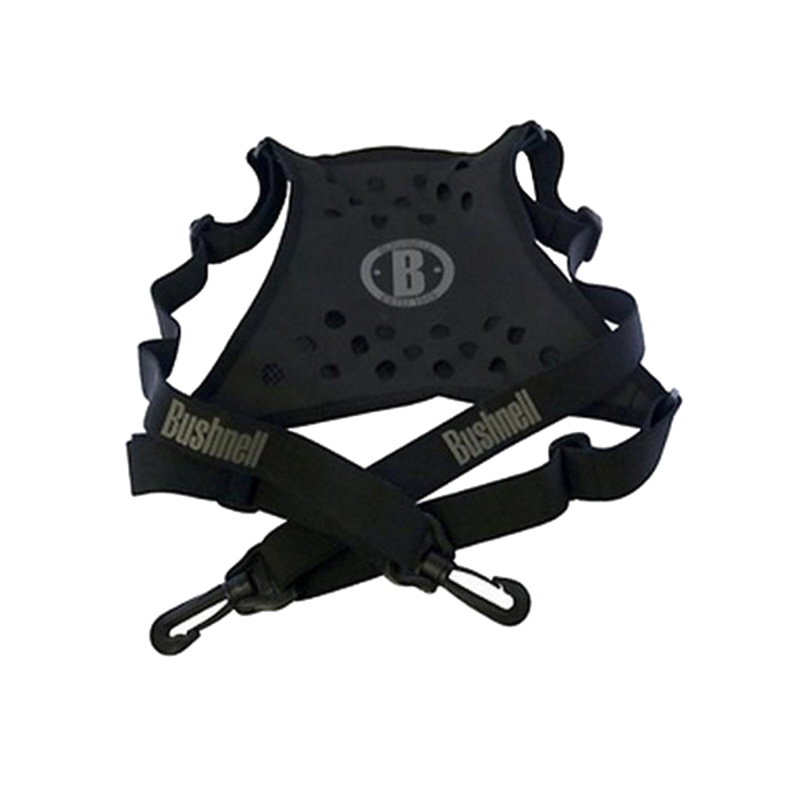 A carry solution of unparallelled comfort and performance. 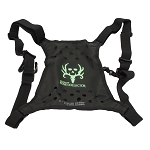 The Deluxe Bino Harness keeps the weight off your neck and keeps your optics front and center no matter where the hunt takes you. 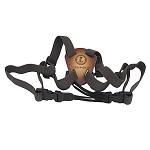 Equipped with elastic straps, the harness positions your binocular, rangefinder, or light camera comfortably upon your chest even while riding a horse or engaging in another bouncy activity. 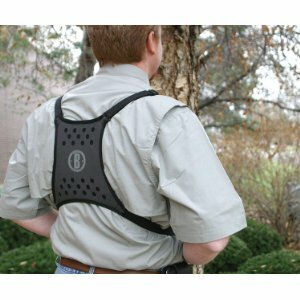 As a result, you'll disperse the weight of your electronic device onto your shoulders and torso rather than restricting it to your neck, making it far more comfortable to hold for long periods. 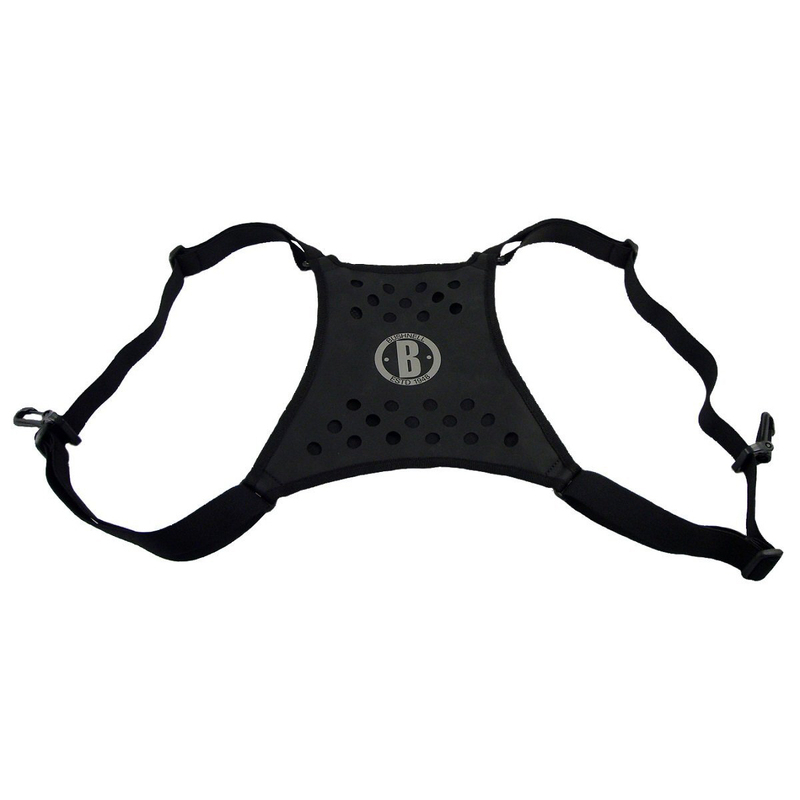 When perfectly positioned, your optics will rest just below your chin, so you can sight an object in an instant. 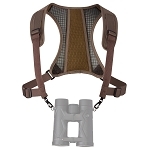 This deluxe version of the Bushnell harness has a wide, perforated panel for your back, helping it support heavy binoculars with large, heavy objective lenses.